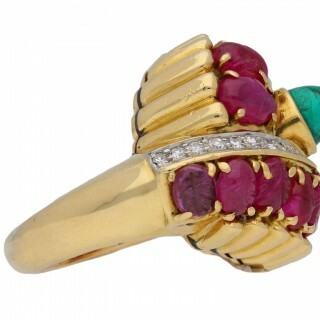 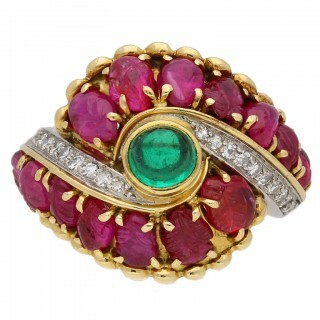 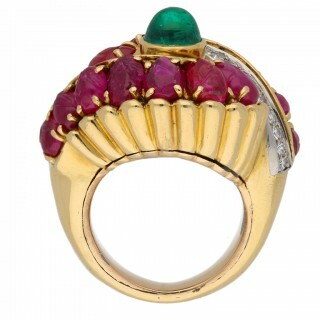 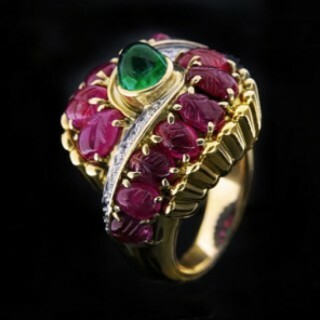 Marchak cabochon emerald, carved ruby and diamond ring. 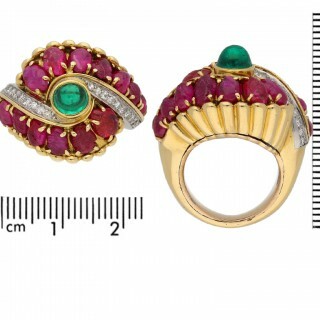 Set centrally with a round cabochon natural emerald with no colour enhancement in an open back rubover setting with an approximate weight of 1.00 carats, bordered by two rows of fourteen oval carved foliate form natural unenhanced rubies in open back claw settings with an approximate combined weight of 10.00 carats, enclosing two rows of twenty round eight cut diamonds in open back grain settings with an approximate combined weight of 0.30 carats, to an ornate bombé cluster design above a ribbed gallery and with intricately pierced backholing, the solid trumpeting shoulders proceeding to a solid D-shape shank. 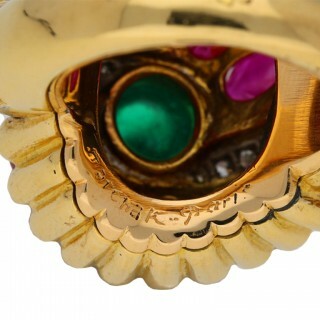 Marked yellow gold, signed ‘Marchak – Paris’, numbered ‘01382B’, French, circa 1950.